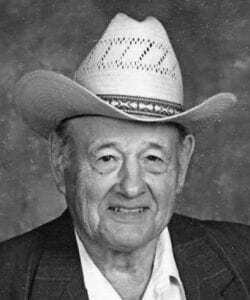 Jerome Jacob Korus, born September 5, 1927 passed away August 23, 2018. He is preceded in death by his loving wife of 53 years, Mary Lou Korus; daughter, Sandra Jean Wiatrek; younger brother, Alfred Korus and nephew, Mark Di Rocco. Jerome is survived by his sister, Virginia La Porte; oldest son, Oscar Korus and wife Jacqueline; youngest son, Anthony Korus; nieces and nephews, Carla McDaniel, Laurie Daughtrey and husband James, Jeffrey Korus and wife Missy, Brian Humboldt and wife Gayle, Jerome La Porte and wife Cathy and Andre La Porte and wife Jane. He was also blessed with four grandchildren, Tayler Korus, Brandon Korus, Justin Wiatrek and Katy Wiatrek as well as numerous great-nieces and great-nephews. Jerome lived his entire life in the same house he was born in and passed away on that very same land. Jerome served in the United States Army from December 1950 to September 1952. While in the Army, he was sent to Korea during the Korean War. 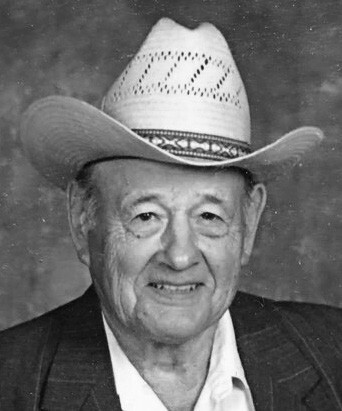 He was a lifelong farmer and rancher who served his community through taking Census’, the Farm Bureau, Knights of Columbus and the VFW. He was a longtime member and past Commander for 25 years of VFW Post 6970. 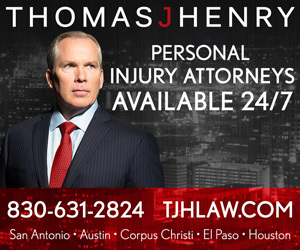 He was a devout Catholic, whose family was one of the founding members of the Los Gallinas Catholic Church. After the Church burned in 1983, he became a member of St. Andrew Catholic Church in Pleasanton. Visitation will be conducted at Hurley Funeral Home in Pleasanton on Thursday, August 30, 2018 from 4:00 pm to 9:00 pm with a rosary recited at 7:00 pm. A funeral mass will be celebrated on Friday, August 31, 2018 at the St. Andrew Catholic Church at 10:00 am, interment will follow at St Joseph Cemetery in Leming. For anyone wishing to leave condolences for the family, share memories or sign the online guestbook you may do so at www.hurleyfuneralhome.com.